Palmitoylethanolamide as adjunctive therapy for autism: Efficacy and safety results from a randomized controlled trial. “Inflammation as well as glutamate excitotoxicity have been proposed to participate in the propagation of autism. Palmitoylethanolamide (PEA) is an endocannabinoid proven to prevent glutamatergic toxicity and inhibit inflammatory responses simultaneously. The present randomized, parallel group, double-blind placebo-controlled trial is the first study depicted to probe the efficacy of co-treatment with risperidone and PEA over 10 weeks in children with autism. Seventy children (aged 4-12 years) with autism and moderate to severe symptoms of irritability were randomly assigned to two treatment regimens. The study outcomes were measured using the Aberrant Behavior Checklist-Community Edition (ABC-C). At trial endpoint (week 10), combination of PEA and risperidone had superior efficacy in ameliorating the ABC-irritability and hyperactivity/noncompliance symptoms (Cohen’s d, 95% confidence interval (CI) = 0.94, 0.41 to 1.46, p = 0.001) compared with a risperidone plus placebo regimen. Interestingly, effect of combination treatment on hyperactivity symptoms was also observed at trial midpoint (week 5) but with a smaller effect size (d = 0.53, p = 0.04) than that at the endpoint (d = 0.94, p = 0.001). Meanwhile, there was a trend toward significance for superior effect of risperidone plus PEA over risperidone plus placebo on inappropriate speech at trial endpoint (d = 0.51, p = 0.051). No significant differences existed between the two treatment groups for the other two ABC-C subscales (lethargy/social withdrawal and stereotypic behavior). “Preclinical studies and several anecdotal case reports suggest a dysfunctional endocannabinoid system implicated in Autism Spectrum Disorder (ASD). 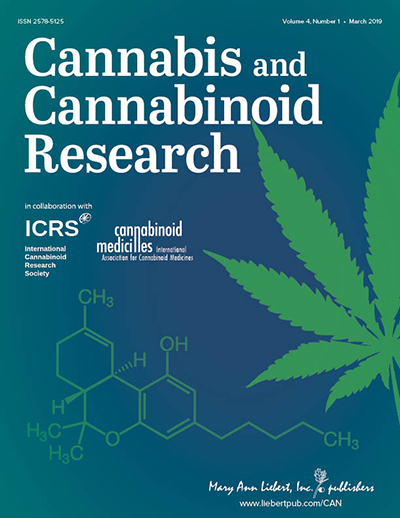 Objective: To report our preliminary findings in patients with ASD treated with oral cannabis extracts. Most cases improved at least one of the core symptoms of ASD, including social communication, language, or repetitive behaviors. Additionally, sensory difficulties, food acceptance, feeding and sleep disorders, and/or seizures were improved in most cases. 71,5% of patients received balanced CBD:THC extracts; 19,0% high-CBD; and 9,5% high-THC extracts. Oral cannabis extracts were well tolerated. Two patients had more agitation and one had more irritability, effects that were solved by changing the strain. “Cannabis has a reputation for inducing feelings of peace and love – and now scientists claim they have found the reason why. A new study reveals the illegal drug acts much in the same way as chemicals produced by the natural ‘love hormone’ oxytocin, which is known to boost emotional feelings and bonding towards romantic partners, between mothers and babies and friends. The research, conducted on mice, found that higher levels of oxytocin led to the release of anandamide – which behaves very similarly in the brain to the psychoactive ingredient in cannabis, THC. Both chemicals attach to the same brain cell receptors, producing a similar ‘high’. As part of the study, the researchers found that blocking anandamide reduced the pro-social effects of oxytocin – while a drug which preserved anandamide in the mice’s brains seemed to make them happier around other mice than other, untreated, animals. Scientists say the results could highlight new paths for research in the treatment of autism, for which symptoms often include difficulty socialising. It is very difficult to directly deliver oxytocin to the brain, however. Dr Daniele Piomelli, of the Italian Institute of Technology in Genoa, Italy, said another strategy could be to intervene further down the oxytocin-anandamide pathway. Our findings open the exciting possibility that drugs that block the degradation of anandamide, which are currently being tested for various anxiety disorders, could give a boost to the brain’s own oxytocin and help people with autism socialise more. “We recently uncovered a signaling mechanism by which the endocannabinoid anandamide mediates the action of oxytocin, a neuropeptide that is crucial for social behavior, to control social reward. Oxytocin signaling has been implicated in autism spectrum disorder (ASD), and social reward is a key aspect of social functioning that is thought to be disrupted in ASD. Therefore, as a proof of principle for the core component of ASD—social impairment—we tested an endocannabinoid-enhancing compound on two widely studied mouse models of ASD, the BTBR and fmr1−/− (model of Fragile X Syndrome). Remarkably, we found that FAAH blockade completely reversed the social impairment in both mouse models. CB1 receptor blockade prevented the prosocial action of FAAH inhibition in BTBR mice. The results suggest that increasing anandamide activity at CB1 receptors improves ASD-related social impairment and identify FAAH as a novel therapeutic target for ASD. “Fragile X syndrome, the most commonly known genetic cause of autism, is due to loss of the fragile X mental retardation protein, which regulates signal transduction at metabotropic glutamate receptor-5 in the brain.